Municipal websites have transformed over the past decade from static HTML pages to truly interactive and dynamic platforms in which elected and public officials can engage their constituents. 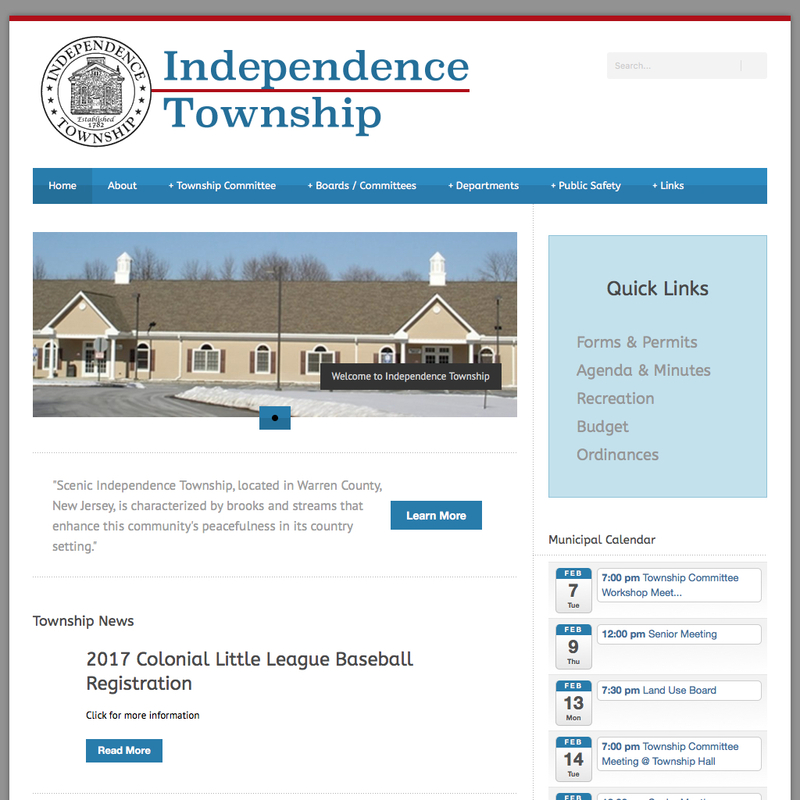 Independence Township and Digital Strategy Associates LLC is pleased to announce the launch of the Township’s newly redesigned website, independencenj.com, which leverages the latest best practices and technology, to create a truly interactive tool and resource for the local community. Digital Strategy Associates’ CEO Matthew Zuccaro notes that “the transformation of municipal websites from static conveyor’s of information, to fully interactive portals has greatly enhanced the relationship between residents and local officials, with the new Independence Township website exemplifying the benefits of redesigning municipal sites with this in mind.” The new website places public information and documents front and center, with a design that was carefully crafted after analyzing user data from the previous website. Digital Strategy Associates collaborated with the township’s stakeholders to identify, develop, and implement a website design strategy that addresses their existing needs and future goals. The newly designed, responsive website, looks great across all devices and computers, including tablets and smartphones. With an easy to use content management system, staff can post news and announcements.